With the world looking on, thousands of brands compete on the runway for fleeting recognition, only to be eclipsed by the next sensation once their moment is up. Such is the typical shelf life at the pinnacle of trend-setting global success. Yet, behind the scenes, more substantive undercurrents have been established that are attaining much greater longevity. A powerful example of this can be seen in the millennial-driven industry shift towards organic beauty. This year, across designers, the new cosmetic gold standard at NYFW was to showcase high performance organic beauty looks. Led by pioneers like Australian brand INIKA Organic, which covered backstage makeup looks for both Tadashi Shoji and the House on Nonine. The only coherent trend from show to show seemed to be unanimous support for ethically-conscious beauty. The fashion world’s shift towards ethical beauty manufacturing without loss of performance seems to pat all the millennial trigger points, including the parallel desires for ethical manufacturing, luxury aesthetics, accessible prices, and progressive cultural missions. 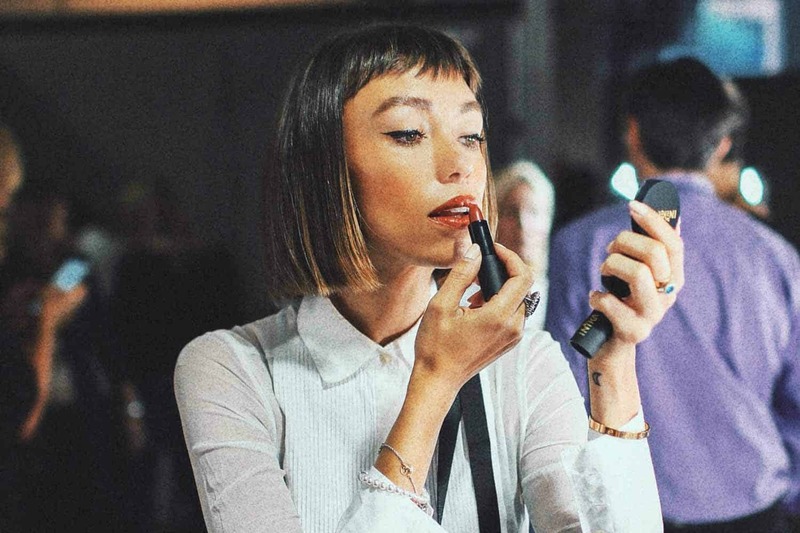 Therefore, it didn’t come as a surprise to see a coalition of the fashion world’s most prominent influencers rally around INIKA Organic to create NYFW fashion week’s most pronounced beauty trend of the season. INIKA, which provides a wide array of beauty products that deliver luxury performance and the world’s highest certified organic-ingredient formulas, was showcased by a cadre of fashion influencers both backstage as well as on the streets at Fashion Week, with a succession of natural posts from Hofit Golan, Thania Peck, and Natalie Off Duty. Boasting astounding sales growth in 2017/2018 and after generating a major buzz across the highest spheres of the fashion world at NYFW, INIKA Organic and other natural beauty brands seem to be on their way to establishing a new beauty ideal for our culture, one which may in fact be impervious to the typical transience of fashion tastes.